Well, hundreds at least! 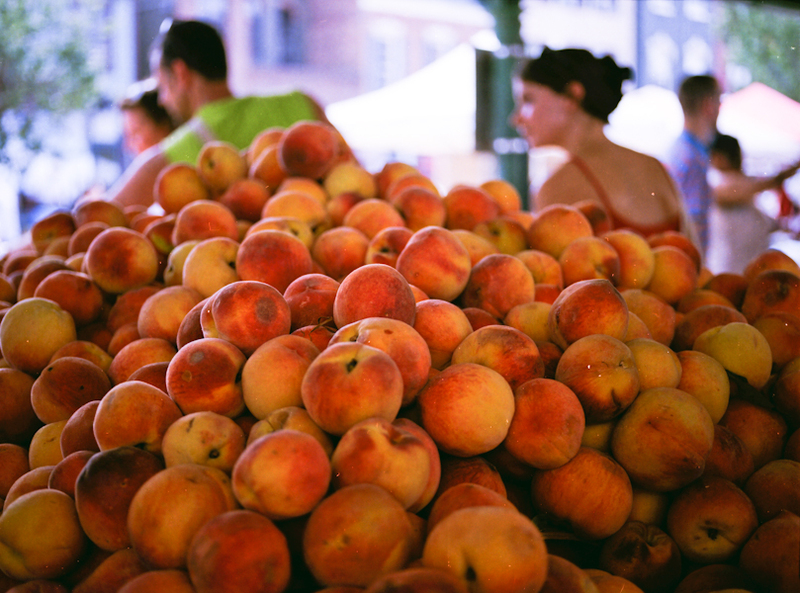 Peaches are one of our very favorite things about summer. Besides being sweet, juicy and all-around delicious, they’re also very good for you. Peaches are low in calories and offer a good source of fiber, Vitamin C, Vitamin A and potassium. @kerrinsuzanne gave us the deliciously simple idea of enjoying a sliced, peeled peach on top of vanilla ice cream. @jeffdonald suggested a delectable recipe for peaches stuffed with Amaretti cookies by Giada De Laurentiis. @stdanitz said that peach cobbler is the “perfect summer dessert!” Check out Eating Well’s healthier peach and blueberry cobbler. @zenmasterlauren sent a link to an amazing Cooking Light recipe for peach and brie quesadillas with lime-honey dipping sauce. @ylanmui let us know about Nigella Lawson’s mint julep peaches that look almost too beautiful to eat. Of course, it would be silly not to gobble them up, so be sure to serve them with ice cream and a sprig of mint. Tweet us @staceyviera and leave us comments on the blog with your ideas and suggestions. Thanks so much to our Twitter friends who contributed to this post. Enjoy the end of summer 2009! How Stacey Got the Shot: On film! She used the Mamiya 645 medium format camera with Kodak Vibrant Color ISO 400 film at Eastern Market in Washington, D.C. A medium format camera creates a larger negative than a 35mm negative, thus capturing more detail.